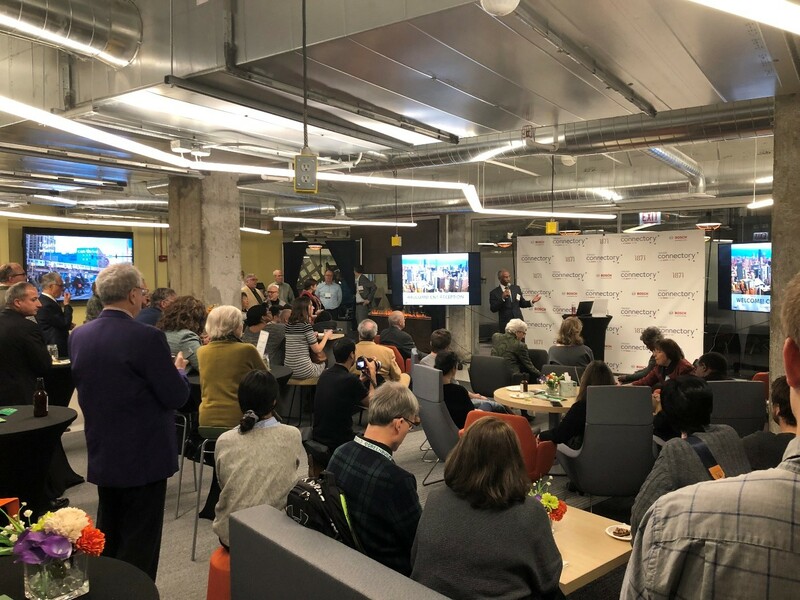 On Wednesday, Nov. 14, the Chicago Connectory welcomed the Center for Neighborhood Technology (CNT) as they hosted a reception for their community and the public to attend. CNT is an organization that delivers game-changing research, tools and solutions to create sustainable + equitable communities. The evening began with cocktails, hor d’oeuvres and networking as guests arrived to the Connectory. Then, CNT welcomed guests and began their brief presentation. The presentation was kicked off by Robert C. Henderson, board member of CNT, who highlighted the impact of CNT and why organizations like it are so critical in today’s world. Eventually, about 70 percent of the world’s population will live in urban areas. This trend toward living in cities is now creating enormous challenges for the world that must be addressed, such as developing different types of smart communities to support large populations. 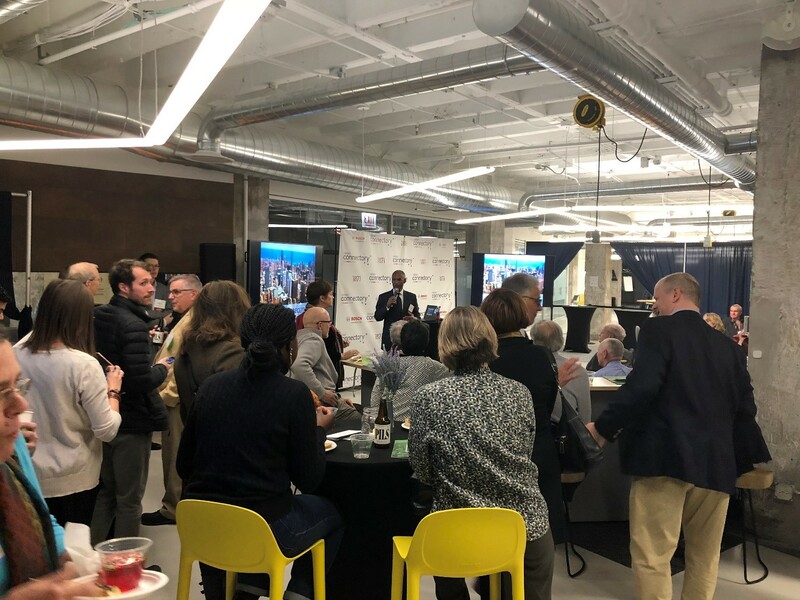 Chicago Connectory founder, Dennis Boecker, also spoke about the Chicago Connectory and highlighted members of its community which are supporting smart city, smart community and smart mobility initiatives. Next, CEO of Center for Neighborhood Technology, Robert Dean, had the chance to speak. He took the time to talk about CNT’s plans for the coming year such as creating central communities around CTA stations and helping communities anticipate changes like climate change or mobility change, among many others. Finally, Robert discussed how new partnerships with groups like Bosch can help advance innovations in urban sustainability and support CNT's advocacy for environmental justice and transportation equity.